August is a difficult month for me. Sure, it’s summer and the livin’ is supposed to be easy, but halfway through, I enter full-on summer-is-coming-to-an-end panic mode. I’ve got to cram every moment with fun, got to have another backyard barbecue, toast another s’more. Have I had any watermelon yet? Eaten enough sweet corn? Gotta get to a lake, see if I remember how to water ski. Have to figure out what to do with the neighbor’s bumper crop of zucchini. Got to check everything off my summer bucket list before I blink and it’s over. What I really need to do is breathe. Just settle down. Think of the fun times I’ve had in the first part of the summer without freaking out over how much more I’ll be able to cram into the next few weeks. Make pancakes. Pancakes calm. 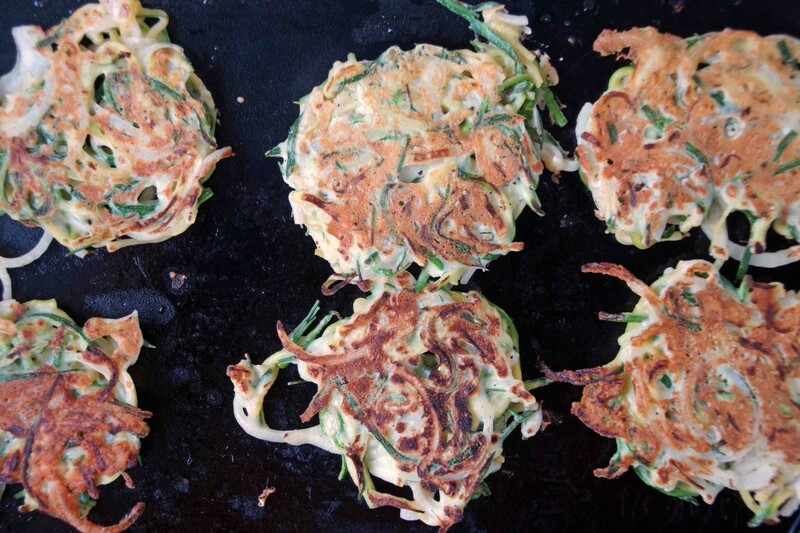 These won’t be just any pancakes; these are zucchini pancakes. 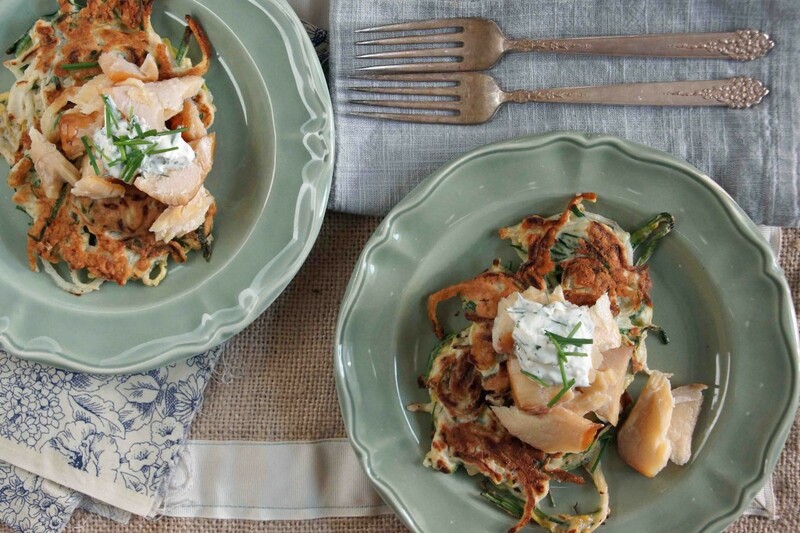 Think latkes, but with shredded zucchini instead of potatoes. We’ll gussy them up with smoked trout and a dollop of herb-spiked yogurt. 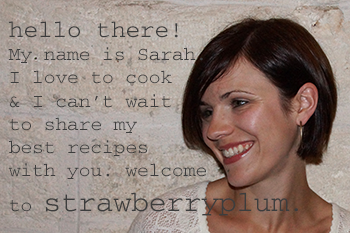 They’ll calm us for the moment, nourish and fuel us for our next end-of-summer adventure. Let’s get at it. 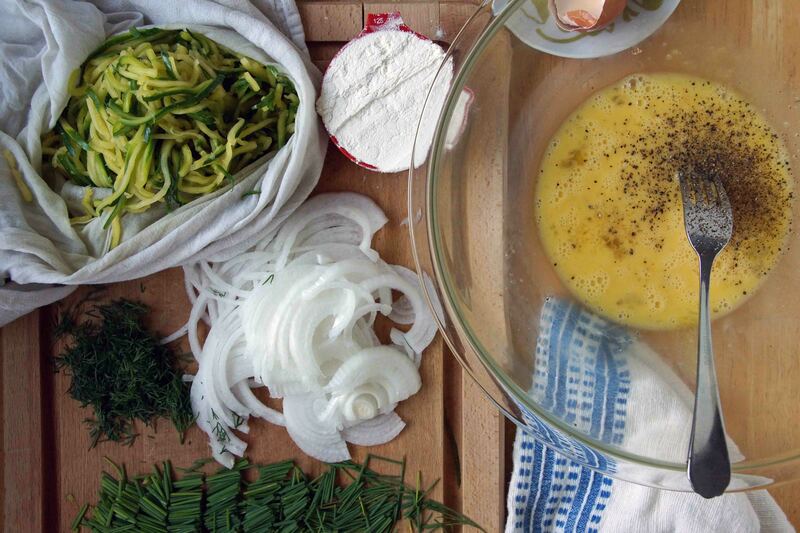 Gather up your ingredients: a few zucchini, half of an onion, a bouquet of dill, and a bunch of chives. 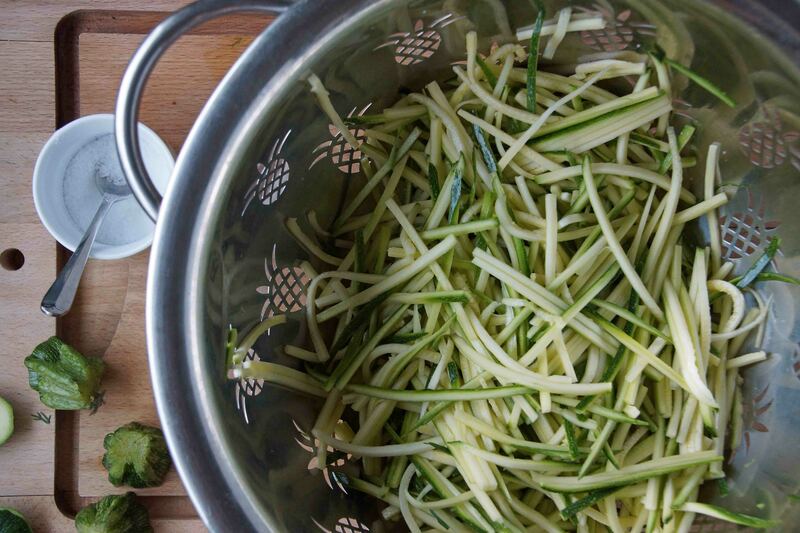 Shred the zucchini using a food processor or box grater or julienne into thin matchsticks with the aid of a mandoline or a sharp knife. 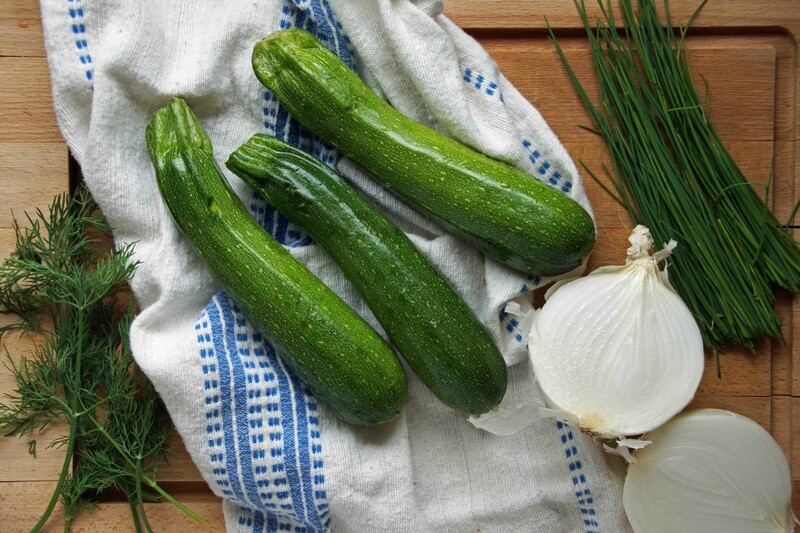 Next, toss the zucchini with salt in a colander and allow to drain for a few minutes, then bundle it into a clean kitchen towel and ring out as much liquid as you can. This is crucial if you want golden cakes with a crisp exterior. If you’re looking for a soggy pile of mush, by all means, skip this step. Beat some eggs and season with lots of black pepper. 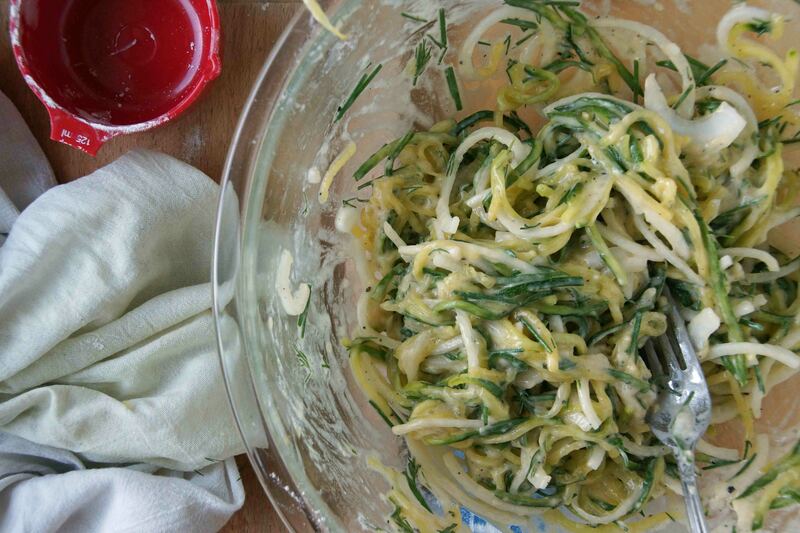 Add the zucchini, thinly sliced onion, dill, and chives. Toss it all together with a spoonful of baking powder and a bit of flour. Drop the batter by the quarter cup onto a hot griddle. Let the bottom get nice and golden. Flip. 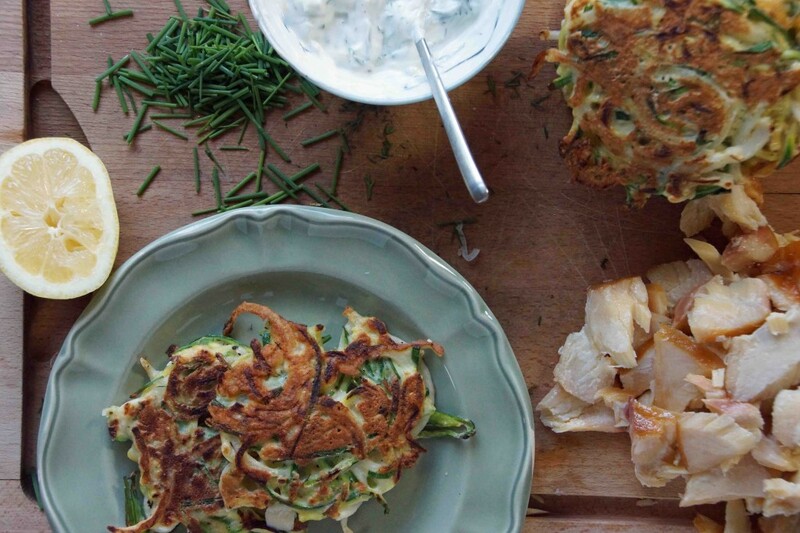 While you’ve got that going on, flake a fillet of smoked trout and mix up a lemony yogurt and dill sauce. Plate up the pancakes. Top with smoked trout, dollop with yogurt sauce. Put the summer bucket list aside for a moment and focus your attention on the tasty treat right in front of you. These are pancakes I would happily eat for breakfast, lunch, or dinner. If smoked trout is not available to you, they'd be just as good with smoked salmon. 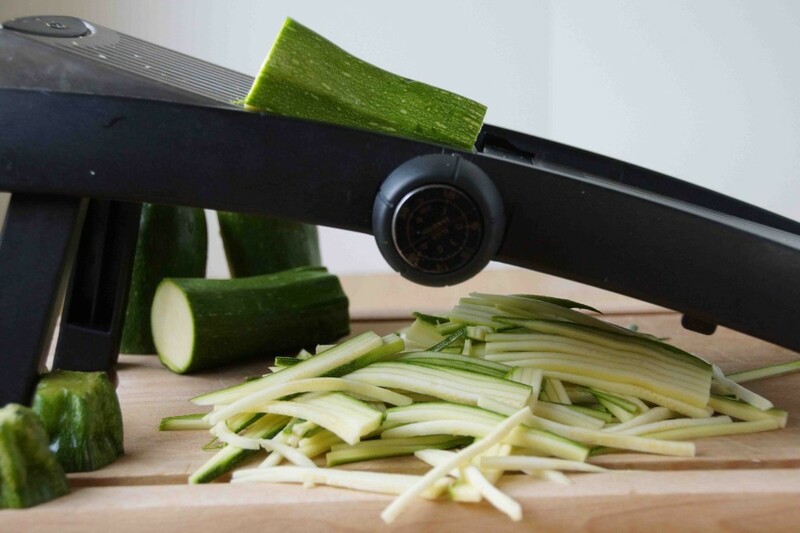 Shred the zucchini using a box grater or food processor or use a mandoline to cut into thin matchsticks. Toss with ¾ tsp. salt in a colander set over a large bowl. Allow to sit for 5 minutes until liquid begins to collect in the bottom of the bowl. 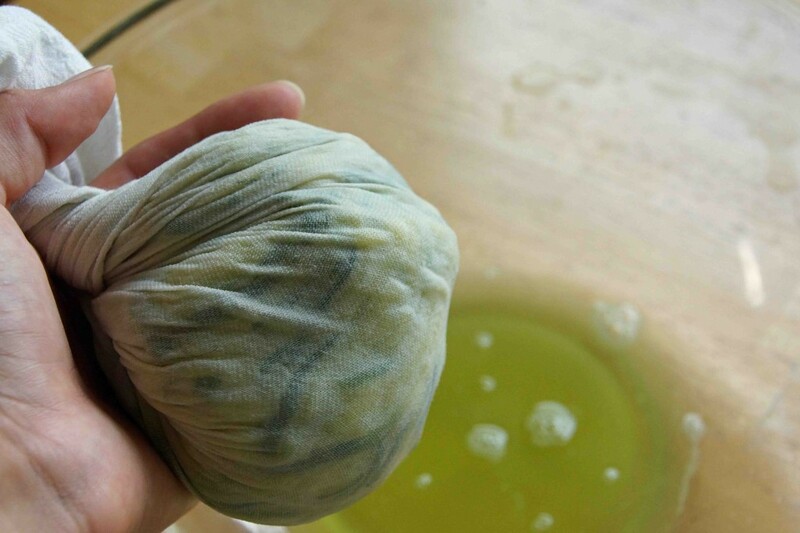 Transfer the zucchini to a clean kitchen towel and squeeze out as much liquid as you can (I measured the liquid I removed--about ¾ c., if you were curious). Beat the eggs with ¼ tsp. salt and ½ tsp. black pepper. Add the zucchini, sliced onion, and 1 Tbsp. each dill and chives. Toss with the flour and baking powder and stir until incorporated. Heat a griddle over medium-high heat and coat well with oil. Drop ¼ c. mounds of the zucchini pancake batter on the griddle and flatten slightly to make 3 in. circles. Cook 2-3 minutes per side until golden brown. Meanwhile, stir together the yogurt, lemon zest and juice, remaining herbs, a pinch of salt, and a few twists of pepper in a small bowl. 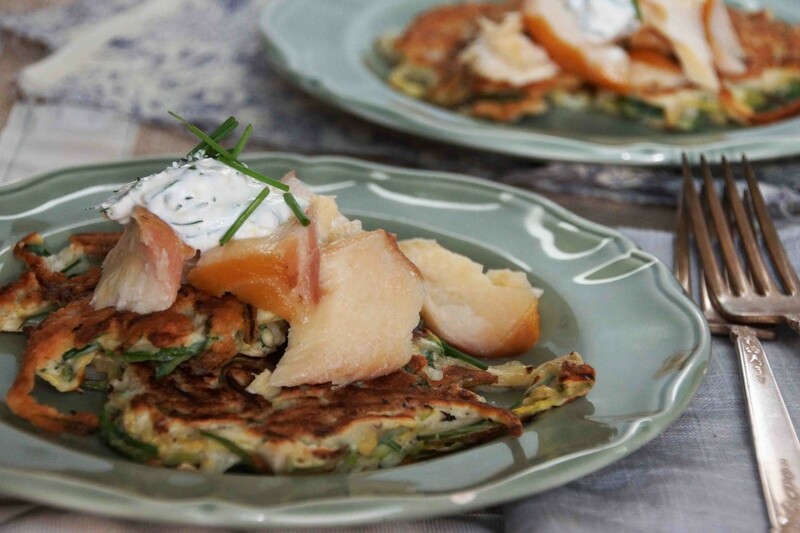 Divide pancakes between plates, top with the flaked trout and a spoonful of yogurt sauce. These look amazingly delicious! Good thing I stopped at the Fish Market for smoked trout on the way out of Grand Marais! YUM! I made these last night dinner and they were such a success! I am looking forward to making these for brunch when the Australian summer starts. 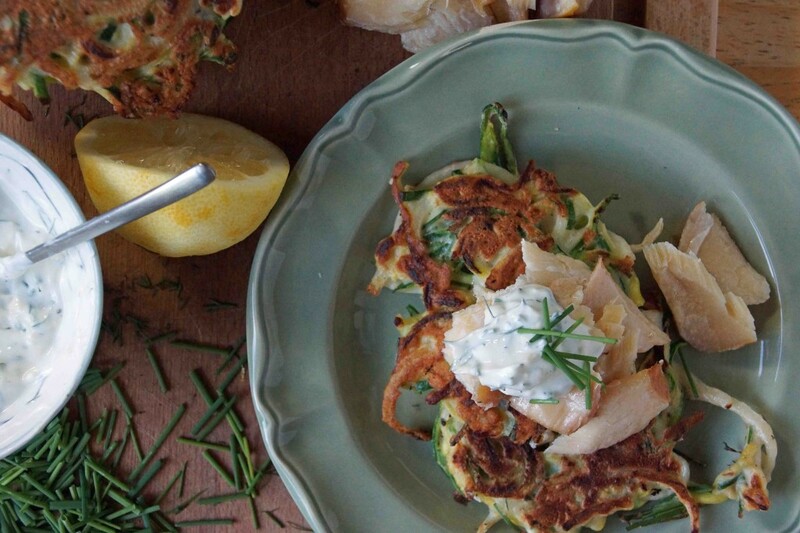 I have made zucchini fritters before, but never quite like these. Love the look of them! And what a fabulous combination with the trout!